I am terrible for not eating breakfast. It is something I am working on as when I do eat breakfast I am much less likely to snack in the morning. It's an issue of time for me though. Getting 3 kids up and dressed followed by the 45 minute walk to school and back means that time is something I don't have much of in the morning. Steve (aka Big Stevie Cool) is really good and prepares his breakfast in a mason jar the night before to take to work with him. Sometimes if he's feeling nice he'll make one for me too and it really does help. Similarly, in an evening I don't seem to have much time either. Between cooking the kids tea, helping them with homework, getting uniforms ready, baths and putting them to bed, I just don't know where the time goes. Although it is slightly more expensive, I tend to buy vegetables that have been pre-prepared through the week and pop them into my Panasonic combination microwave where I can set them to steam which is quick, easy and retains lots of nutrients. How easy is it to reach into the cupboard for a bag of crisps or bar of chocolate when you're feeling peckish? Too easy I think. We have removed this temptation and just don't buy these things now. We use My Fitness Pal and weighing out nuts/snacks is time consuming and annoying when you just want to grab something. We have started buying bags of nuts from the Weigh House in the Grainger Market and divide them into pre-weighed portions straight aways so they are ready to grab when we need them. I get that it takes time to meal plan but it is worth it in the long run. I tend to plan three days in advance so will sit down for 5 minutes before heading to the shops and plan our meals. It saves time as there is no hunting through the freezer and trying to come up with something to cook at the last minute, it eliminates unnecessary trips to the shops and most importantly, stops you from reaching for the takeaway menu when you realise you have nothing planned for dinner that night. Steve is really into his meat-free days and I have joined him. Usually when you eliminate meat from your diet for a few days it does save you a fair few calories and also time. 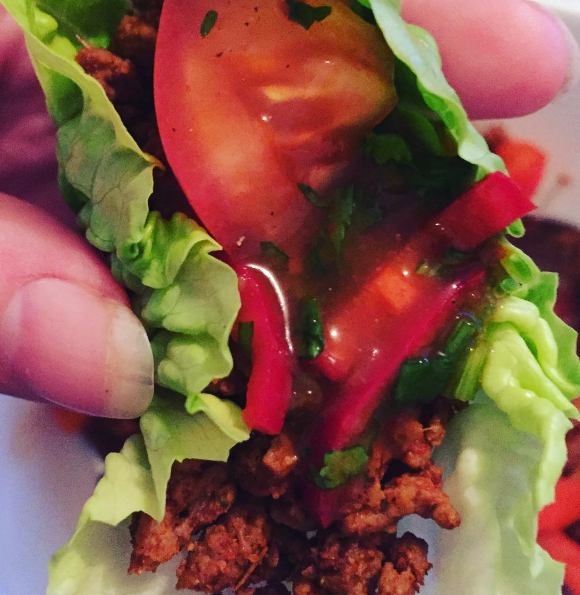 We tried Quorn mince for the first time this week and I was impressed that it only takes a few minutes to cook, is low in saturated fat and contains only 105 calories per 100g. 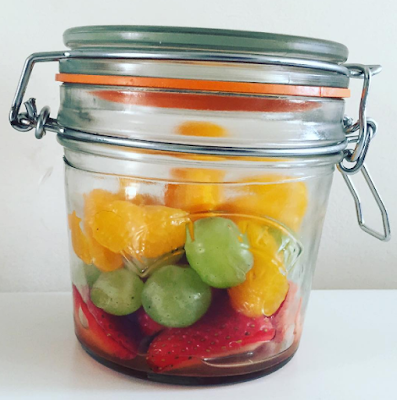 Do you have any time saving tips when it comes to eating healthily? This is a collaborative post, all thoughts are my own. Totally agree with having healthy snacks to hand, it's essential for me, I love tomatoes and almonds. Breakfast is always sunflower rye toast because I'm not imaginative enough to come up with something every single day! !